The commercialization of the holidays grates on me at times. In September, the stores roll out the Halloween costumes and gory decor. As soon as October 31st arrives, the fall things are whisked away to be replaced with the glitz and color of Christmas. As someone who has always loved the fall season, I’m just not ready for “Jingle Bells” before Thanksgiving. Worse still, the Thanksgiving holiday is practically overlooked between Halloween and Black Friday. Even the name “Thanksgiving” has been downgraded to “Turkey Day” because Americans traditionally gorge on the bird (unless you’re a vegan… then you gorge on tofurkey). What it thanksgiving? The definition is in the word: giving thanks. It’s a time to focus on gratitude and thankfulness. What could be a better way to celebrate this holiday than to offer thanks for the blessings we have? For the past couple years, I’ve tried to help my children focus on giving thanks throughout the month of November. 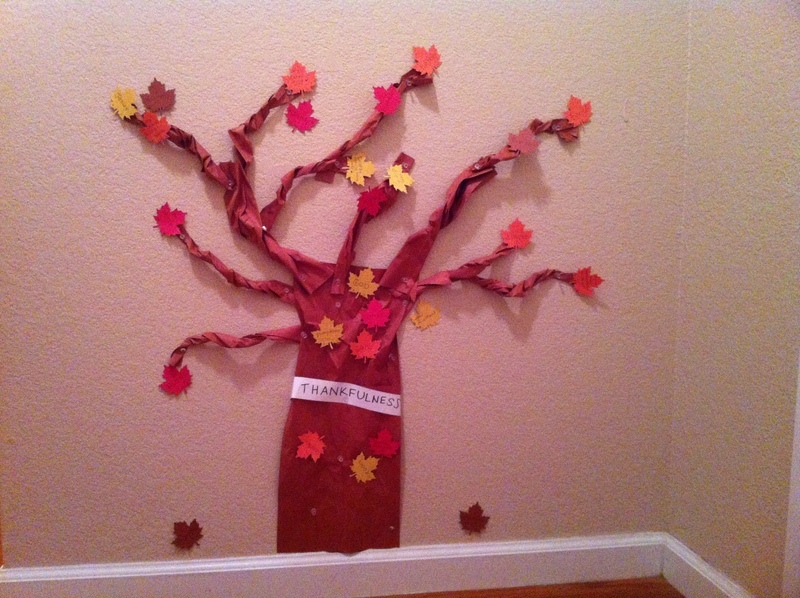 Two years ago, we did a thankfulness tree. 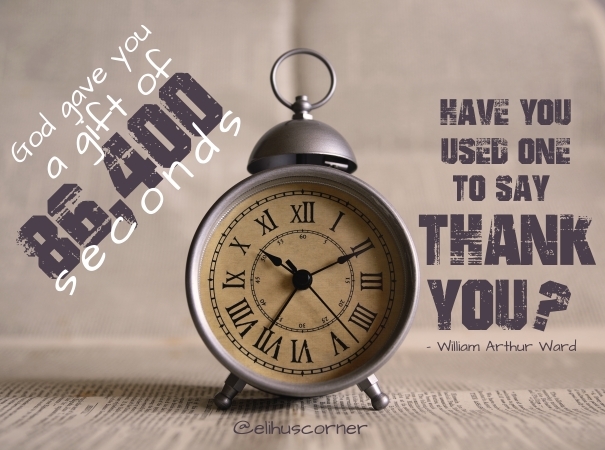 Each day, each of us would write—in one or two words–someone or something we were thankful for. Then, at the end of the month, the kids made a little book of their leaves. This year, as I don’t really want to make a tree, we are going to make a small book. My 4-year old will just do leaves and pictures, the older kids will say why they are thankful for that particular thing. The above picture is not Pinterest-worthy, but it served our purpose well! I’d love to do this here as well! Each day this month, I will post about something we ought to be thankful for. Some will be obvious and some unconventional. If you have a post related to thanksgiving shoot me an email and I will review it and post it in a small round up at the end of each week starting on the 7th and ending on the 28th. Get ready to give thanks! Previous Post A rule more precious than gold. Thank you for sharing this post! God be with you! 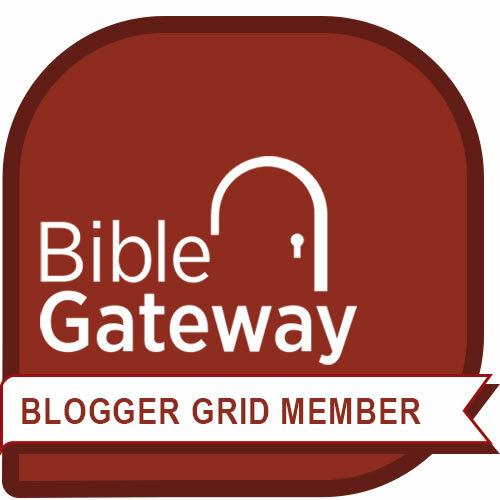 You’re very welcome Elihu and God be with you and yours as well! Neat idea of gathering a round up of Thanksgiving posts weekly!